Taking over from Dame Ngaio Marsh, one of the original Queens of Crime, would be a daunting prospect for any writer, but Stella Duffy (winner of the CWA Dagger Award, and Stonewall Writer of the Year) has beautifully risen to this task in the new inspector Alleyn novel, ‘Money in the Morgue‘. Set in New Zealand during World War Two, Marsh’s beloved detective finds himself called into a murder investigation, right in the middle of an espionage case. 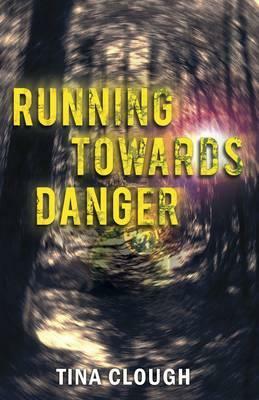 The novel opens when courier Mr Glossip finds himself marooned at a military hospital, thanks to a terrific storm. When the wages which Glossip has just delivered go missing, then an unexpected body turns up in the morgue, it is left to inspector Alleyn to unravel the nights mysteries. He does so with his usual charm, and perfect manners (let’s just say you wouldn’t be surprised to read that upon being asked by Alleyn to pass along the salt, a woman fainted by his feet). His sidekick is a kind of inspector Fox substitute and cunningly, there are so many mentions of inspector Fox as Duffy talks about this man who is clearly not inspector Fox, that by the end of it you have somehow wound up concluding that this clearly not inspector Fox man, is actually Inspector Fox. There is also mention of Troy, as Alleyn tries and fails to pen a letter to her (but manages an epic three page masterwork to inspector Fox, just saying). In many respects, Duffy is the ideal candidate to finish a novel started by Ngaio Marsh. 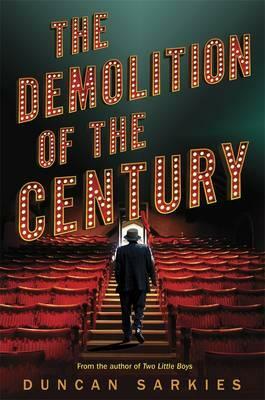 As well as being an esteemed writer of sixteen novels (five of these being crime), like Ngaio Marsh, Duffy spent her childhood in New Zealand, moved to London, and as a producer, and scriptwriter, has had a long standing relationship with the theatre. There are some lovely references to the world of theatre, in particular Shakespeare, as Alleyn absently quotes the Bard to himself on several occasions, much to the bewilderment of the local constabulary. As Eric Morecambe would have said to Ernie Wise you just ‘can’t see the join’, when you read ‘Money in the Morgue’. The two writers just dovetail so perfectly. Later I learnt that Marsh wrote the first three chapters of this work, Duffy the rest, but had it not been for a sneaky look at a interview with Stella Duffy, and one tell tale passage toward the end of the novel (where Alleyn muses on New Zealand as being like a ‘living entity”, not the most 30s European attitude toward the land) I would not have picked this for myself. There is a strong cast of characters too including shell shocked Dr Hughes, the stern yet endearing Sister Comfort, and the sparky Rosamund Farquharson. Marsh and Duffy conjure to life an intriguing array of suspects, against the dramatic backdrop of WWII New Zealand. 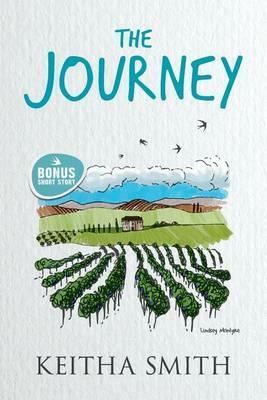 Readers are treated to some evocative descriptions of the land, as well as some lovely insights into New Zealand culture, as seen through the eyes of a young Māori soldier, corporal Brayling. The ending is a satisfying one (all important for any mystery) and the novel is consistently packed with all the fun and endearing Alleyn moments a fan could wish for. 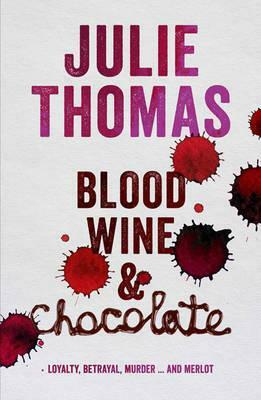 This is a truly fantastic partnership between two queens of crime that will leave you wanting more. With any luck, another of Marsh’s unfinished works will be unearthed soon and we will be treated to another Marsh/Duffy installment in this classic series. 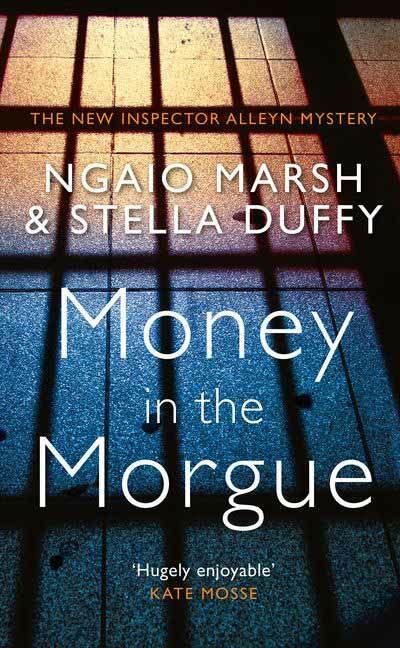 Celebrate with style and panache the publication of Ngaio Marsh and Stella Duffy’s new novel “The Money in the Morgue”. Be theatrical and wear your vintage clothing, fedoras or berets. 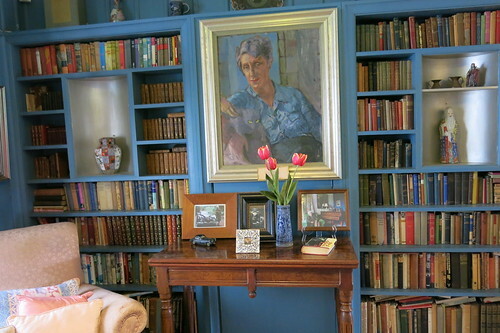 You will get to view the improvements to the Ngaio Marsh House, and then got to Cashmere Presbyterian Church for drinks, hors d’oeuvres and entertainment. Scorpio Books will have a selection of Ngaio’s book’s for purchase. I’ve discovered a new online tool that I want to tell you about. Kōmako is an online bibliography of writing by Māori in English, which has grown out of research undertaken by Bridget Underhill at the University of Canterbury. Kōmako lists Māori writing from over the past 180 years, gathers it in one place and makes it publicly accessible. This is extremely helpful for research purposes and gives visibility to some amazing works by both well-known and lesser-known Māori authors. Kōmako utilizes the wonders of modern technology for the searcher – I can type in my iwi and be returned with a list of available writing on my iwi or I can type in my last name and see a list of my Aunty’s poetry. Anybody accessing this resource can search by author, title or iwi to find fiction, non-fiction or even music by Māori writers to go off and try to find at their local library. 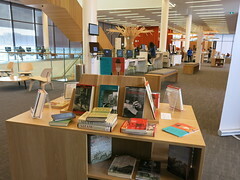 Māori writers are one of my favourite things to talk about and here at Christchurch City Libraries we have a fantastic Ngā Pounamu Māori collection which covers a wide range of topics produced by a variety of sources. While they all have their individual merits Māori authors can give us an insider’s view on Te Ao Māori, which is both valuable and necessary to our understanding of a given topic: we would not ask a lawyer what it’s like to be a doctor, we would ask a doctor. As such the cultural insight provided by the Māori writers listed on Kōmako is a taonga, something to be both cherished and celebrated. These were the words Fiona Farrell used on Tuesday night at the launch of her new book Decline and fall on Savage Street in order to describe her challenge of writing something big. This “big” is here now. It is complete. And it is a rich and endlessly rewarding read. 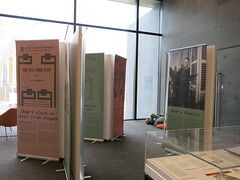 It consists of two parts: the nonfiction masterpiece, Villa at the edge of the empire, which explores Christchurch’s initial build and after earthquake rebuild in a factual way and its twin fiction sister Decline and fall on Savage Street – the latter one just freshly released, still hot from the press, its cover beautifully alluring. 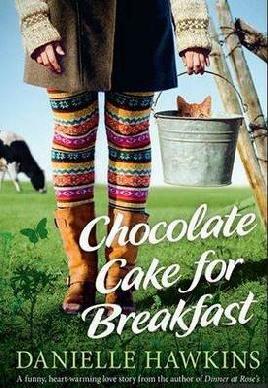 Alluring cover of Fiona Farrell’s new book. Even more alluring that evening were words: Fiona in an electrifying conversation with Liz Grant, reading abstracts from both books, convincing, charged, punchy slices of masterly crafted writing, seasoned with a refined sprinkle of wit. 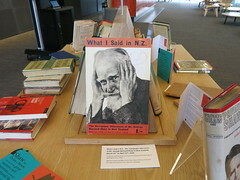 Organised by Word Christchurch, the launch of the book was hosted in Christchurch Art Gallery and offered first glimpses in the imagined yet the entirely credible world, characters and events of a house on Savage Street. But the house is more than just a setting, it grows into a structural device, it becomes the anchor of the novel – on narrative and formal level. It is the connecting point, a node, where stories of characters, who lived in the house, intersect. The idea for the form stems from the city and its shattering. The chapters work as separate stories and are like “little pieces of timber”, shattered disconnected pieces, “100 fragments of human condition”, as Liz described it. It is a salvage book. It’s not the house alone which connects and binds all these pieces, all these different voices. It is the river, with its own time, rhythm and a creature, that runs through the novel and weaves in more balanced and assuring antipode, which belongs to the natural realm. Beautifully designed details and typography contributes to pleasurable overall reading experience. It takes a lot of discipline and masterful, intelligent mind to shape each single piece in such a concentrated and sublime way Fiona did – every single word has its own place and the magnificent is revealed in delicate nuances. Material for rich and powerful stories was sourced from real life stories, talks with friends and random strangers at the petrol stations, newspapers, books. “There was an amazing openness, everyone was ready to talk,” Fiona describes the post earthquake era, filled with stories. And such is the reading of this book as well – full of surprises and pleasure. “I wanted to write something big. I wanted to make it the best I could,” concluded Fiona on Tuesday night. This book certainly is BIG and its greatness will grow with each single reading. Its sharp structure, complex characters, refined language and relevant political, social and environmental themes guarantee this work is destined to be a prize winner, but most of all, it deserves to be read over and over again by its readers. Which prompted me to feel a bit guilty about how few Māori and Pacific New Zealand authors I read… and then I pretty much forgot about it because life is too short to feel guilty about the books you haven’t read. As a librarian I’m exposed to a constant stream of new and interesting looking titles and (spoiler alert) I read hardly any of them. But, for a couple of reasons the notion that I should expand my reading into more Polynesian fare stuck. The main one being that I had a one week holiday coming up during which I could get in some solid novel-reading. The second being that the holiday in question was in Rarotonga (of the aforementioned Polynesia). And thirdly, because I had a couple of titles on my For Later Shelf that were available in time to take the trip with me (sometimes the Atua* of the Holds Lists smiles upon thee). 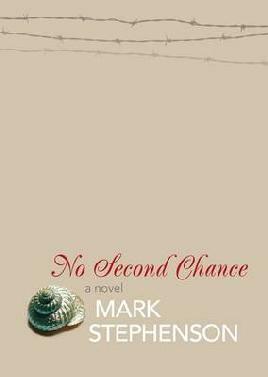 My first holiday read was not a novel at all but a collection of short stories. I always think with short stories that they are less of a commitment than a whole novel. Something that you can move easily on from should it not be to your taste. However Stories on the four winds: Ngā hau e whā was by far the more emotionally gripping and in places gruelling of the two books. 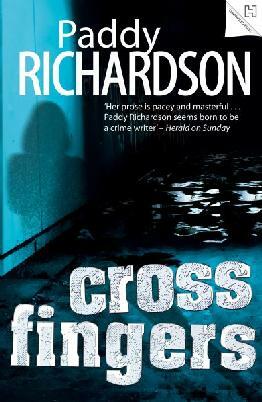 In the space of relatively few pages I was drawn into murders, deaths and losses as well as tales of joy, love and connection. I started blubbing before the plane had even landed. Writers, with their writerly tricks can surprise you, and indeed this was the brief for all the stories in the book (from a variety of well-known and perhaps less well-known Māori and Pasifika writers) – to surprise the reader. So every story has a twist or takes you somewhere you don’t expect. Even though the stories are short, they pack a punch and I found with some of them that I had to take a break between them, to get my bearings again. Standouts for me were the contributions from Albert Wendt, Alice Tawhai, Ann French, Jacqui McRae, K-t Harrison, and Reneé. My second book was a novel and after the emotional rollercoaster of Stories on the four winds it was a nice change of speed. How to party with an infant by Kaui Hart Hemmings was perfect holiday fare. Hemmings is not a New Zealand writer but she is Hawaiian and I very much enjoyed the film of her first novel, The Descendants. I have so far neglected to read the source novel (more book-related guilt) but thought that this story of a single mother raising a small child in San Francisco would suit me. It certainly did. 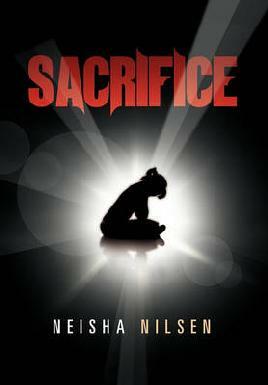 The book has a sly sense of humour and uses the mechanism of the protagonist, Mele, listening to and writing the stories her parents’ group friends tell her. There are some really great characters in there, full of anxieties and insecurities – worrying about measuring up to other parents, fitting in, being good enough. As well there’s a bit of light romance of a very grown-up kind because everyone in this book has kids. I liked this book for its knowing jabs at the “Mummy Wars” aspects of parenting whilst celebrating the great, affirming friendships that can grow out of that shared experience. For other recommendations of “brown reading” do check out Paula Morris’s post Why Aren’t You Reading Brown? for 21 titles by Māori and Pacific writers. Get the Holds Lists Atua on your side and you could be reading one before you know it. * Te Reo Māori for supernatural being or god. It’s out. The longlist for New Zealand’s most prestigious book award. Plenty of options here for reading over the summer months. A shortlist for the awards will be announced in March next year and the winners in May. Ready, set, make your reserves. See previous winners of the Ockham New Zealand Book Awards. Damien read from his novel Dad Art – in his words ‘a mid-life crisis book about a basically contented life with a pulsing vein of anxiety’ – and it was funny. Not in a here’s-a-funny-joke way, but in subtle observations that make you think ‘I know someone exactly like that’ (and it may even be me). His excerpt was an account of a motley crew in a Te Reo class. Think I recognised myself there! Damien feels that one of the ways that comedy works in fiction is through structure, that is repeated references within the story. A sort of insider knowledge type of humour, one in which he has ‘created echoes’. Danyl read from his novel Mysterious Mysteries of the Aro Valley. Set in the Aro valley near Wellington, Danyl researches his novels very carefully – after all he knows people who live there. When asked if readers take offence at some of his observations, he replied that what seemed to offend them most was if he altered the geography in any way! He’s a big believer in writing funny stuff in, thinking it is fantastic and then removing most of it on the next reading. Definitely a ‘less is more’ approach to comedy in writing. He also likes to make fun of conventional wisdom but feels that makes his humour unpalatable to the ‘cultural gatekeepers’. Robert (call me Bob) was all set to read from his latest work Please Do Not Disturb, but had brought the wrong book. By this stage we were nicely warmed up so we all thought that was hilarious. Instead he read from Terms and Conditions – his novel on being a Corporate Lawyer. In this book the devil is in the detail. He calls himself ‘the devil’s ghost writer’. His advice to readers is – always read the small print! He loves the act of writing but says that self-editing ‘is like performing an autopsy on yourself’. Bob finds tackling topics from weird angles can be funny. He also writes what he likes. You are always going to offend someone in his opinion. If that’s a worry to you, you’re in the wrong job. They all hated the title given to this festival event – Tickled Fiction, finding it childish, shallow and borderline pervy. Put on the spot in question time Bob said he liked ‘You Write Funny’ as an alternative. As indeed they do, write funny, that is. Is there anything so satisfying as introducing someone to a book that you love? In librarianship it certainly falls under the categories of both personal passion and professional responsibility (see our own Staff Pickles for examples). And the Reading Favourites session at WORD Christchurch yesterday had a similar vibe – of reading enthusiasts, well, enthusing. Renowned New Zealand children’s author, David Hill; editrix of Tell you what, and comparative literature PhD, Jolisa Gracewood; and author and founder of the Academy of New Zealand Literature, Paula Morris, all took the stage to wax lyrical about their favourite New Zealand reading. Poet Chris Tse was also supposed to be part of this panel but was unable to attend due to illness. A shame, and it would have been good to have another, and yes I’m going to say it, younger voice in the mix but it was still definitely a session worth attending regardless. Things kicked off in a jovial manner with Paula relating the ridiculous predicament of having flushed her reading glasses down the toilet and having to make do with some hastily bought, budget ones. And then, because it’s National Poetry day, each read a short poem, Jolisa and David both choosing pieces from well-worn copies of 100 New Zealand Poems edited by Bill Manhire. This is a collection that Jolisa called “subversive” due to its lack of attribution of the poems unless… you refer to the index, a device that perhaps forces the reader to engage with the poem on its own merits. I’m ashamed to admit that I’ve already forgotten the name of the 4 line poem that Jolisa recited, but do clearly remember that I liked it, and can accurately report that David Hill’s choice was The Adorable Thing about Mozart by Elizabeth Smither. Well not quite, but surely, on a wild and wet winter day a verse or two of Hone Tuwhare, either whispered or shouted at the sky wouldn’t be considered too transgressive? 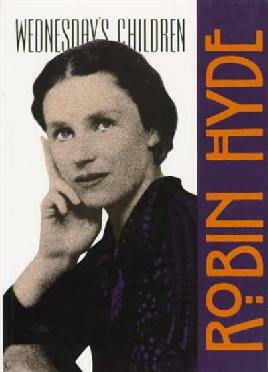 Jolisa’s first choice of favourites was Wednesday’s children by Robin Hyde. Her copy of this novel about a woman who wins the lottery and “lives as she pleases” has its own story. It was bought here in Christchurch at a library book sale and still retains its borrowing slip, and cards in a pocket at the back. Initially it went unread (by her) for quite some time and it wasn’t until a boyfriend of Jolisa’s started reading it and really enjoyed it that it came back onto her radar – a unexpected surprise of a read. Wednesday’s children set in the 1930s and is about women, women on welfare, and women with children – all things that are as relevant now as they ever were. 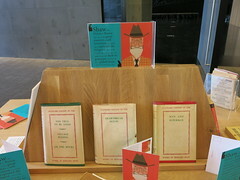 Though sadly it is no longer in print (so get a reserve on a library copy if you fancy trying it). 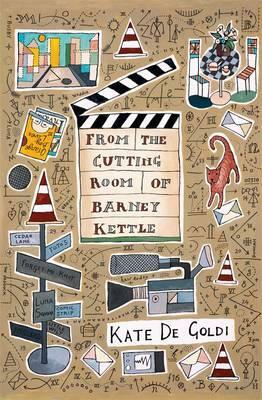 David Hill’s first choice was much more current, namely last year’s From the cutting room of Barney Kettle by Kate De Goldi. 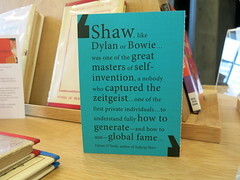 David admitted it made him both weep and laugh and said that De Goldi’s writing was “crystalline” and sharp. Moreover the adults in it are depicted as “fallible, real human beings and not caricatures”. He said he was “honoured to be thrashed by her in the children’s book awards”. 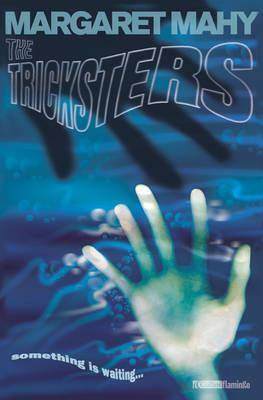 Jolisa’s second choice for favourite read was by another Christchurch author, this time Margaret Mahy, and her young adult novel The Tricksters. Set in the general vicinity of Lyttelton Harbour, Jolisa went into movie trailer voiceover mode describing its tagline as “The Christmas it all fell apart…”. It’s a story about a family and an earth-shattering revelation but it also has elements of the supernatural. Even as a confessed rationalist she still enjoys books that “ask you to take on faith that there are other worlds…” which is something we have in common. I can’t abide notions of magic or “woo” in real life yet find this not only permissible but desirable in fiction. David Hill’s second choice was Maurice Gee’s Going West. He described Gee as very “modest” and the least “show-off” writer he knows, and described a tension between his quiet style and the quite shocking events that unfold. In fact, he’s so good that “I’m not even jealous”. Happily Going West is still in print, and via someone in the audience, who presumably has the inside line on things Gee, we learned that there will be a new young adult novel out in February 2017. Digressions were common (and welcome – at least by me) throughout the session, and Paula Morris’s reflection that Gee’s novels being set in Henderson, where she grew up, meant something led into the question of whether or not New Zealand writers should include New Zealand place names in their work. What if it’s jarring or too “foreign” for non-Kiwi readers? Apparently these are questions that publishers want to know the answers to, as David Hill has been asked this himself. David Hill went as far as throwing the question to audience member Ted Dawe aka “another author who beat me in the children’s book awards”, who said that he didn’t like to be too specific about anything in his books, but even so the US version of Into the river has a 130 word glossary, providing meanings for every Māori word used, for instance. 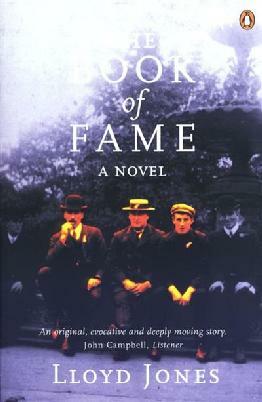 Paula Morris also picked two favourites, the first being The book of fame by Lloyd Jones, a really funny book that nevertheless got sneering reviews in the UK but which “everyone I’ve ever recommended it to has really loved it”. She also recommended Māori boy by Witi Ihimaera which, as a memoir, is necessarily “full of lies” but is “searingly honest” as well. The session veered off at the end towards discussing the eternal question of why people don’t read more New Zealand fiction. Kiwi authors do well with children’s books but somehow this doesn’t translate to adult readers. Jolisa suggested that being forced to read something at high school in an “eat your veges – this is good for you” kind of way could harden a reader against particular writers, and I must admit I still bristle at the suggestion I read any Janet Frame again, ever. So I think there may be some truth in that. Paula Morris in particular highlighted some of the odd “prejudices” that create barriers to people reading New Zealand fiction – the notion that it’s all doom and gloom, “man alone” stuff when that’s demonstrably not the case. Would reading one depressing British author put you off reading British authors for life? So why does that seem to apply with local literature? I couldn’t help thinking that this is very similar to the problem of representation and diversity in media generally. We’re used to what we’re used to and what we’re used to is a particular kind of voice. In movies this has typically been male and white and probably American. But things are slowly changing. Kiwi films are going gangbusters at the box office, ones with indigenous faces and voices, even. And there was a time when a nightly Kiwi soap opera was a risky proposition rather than an institution. Perhaps the next Ghostbusters reboot or Hunt for the Wilderpeople* of New Zealand fiction is just around the corner? Here’s hoping. In the meantime, we’ve all got some favourites to try. *Technically the Hunt for the Wilderpeople of New Zealand fiction is Wild pork and Watercress, but you get my meaning. New Zealand Book Week & the Rugby World Cup! 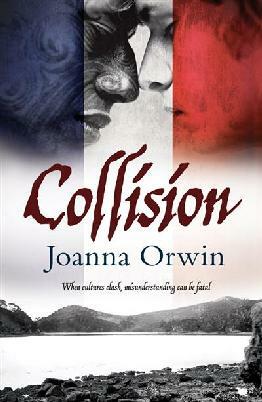 It’s New Zealand Book Week and the final of the Rugby World Cup. How will we cope? What will we read? I’ve got it covered, so just relax and enjoy the ride. Leading up to the game. And, of course, the back-up plan. How will you make it through the week? 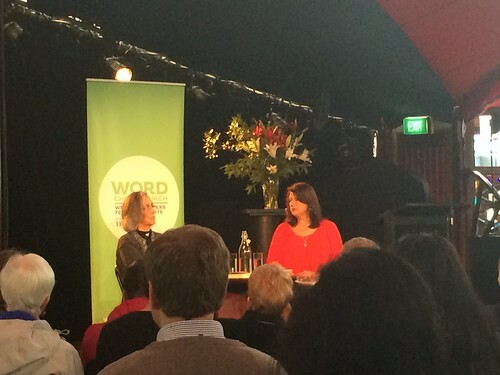 Last Sunday I shrugged on a heavy coat and ventured out into a grey and dismal Christchurch morning to hear two New Zealand fiction writers – Paula Morris and Patricia Grace. The On Belonging session was advertised as exploring themes “themes of nostalgia, memory and belonging” however both women confessed very early in that neither of them had read that particular description before that morning, so things would likely veer off a bit. Writers, eh? But, in fact, some of those themes did come through as Paula Morris encouraged Patricia Grace into remembrance and recollection over the course of the hour. The pair had an easy, relaxed rapport. Patricia Grace, whom I have never had the opportunity to hear speaking in public before, has a calm and softly spoken demeanour. She speaks slowly and thoughtfully. To start with they spoke a bit about Grace’s background, and the degree to which she grew up in two worlds. That of her father’s family – rural and Māori, compared with the world of her mother’s family – urban and Pākehā. The divide between her life growing up in Wellington “hooning around the streets” with her cousins and crabbing at Mirimar Wharf, and the marae community of her father’s whānau, where she lives now. As a child she enjoyed the environment of sea and bush, with both in close proximity. In fact, many of the memories she recalled over the course of the hour would factor in the sea, including the passage she read from her novel. 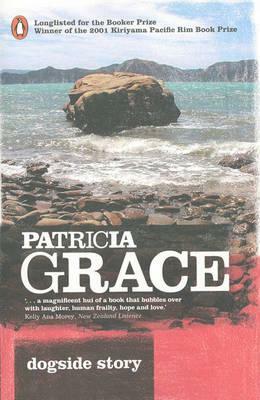 I get the impression that Patricia Grace would not be comfortable living in a landlocked country or too far inland. As it is she seems to have a very strong sense of belonging in her seaside community with her brother, cousins and children all living in what Morris compared to a “family compound”. Then they moved on to discussing Grace’s latest novel, Chappy which has several settings, including New Zealand, Japan, Europe and Hawaii. The novel is about Daniel, as he unpicks the story of his Māori grandmother and Japanese grandfather, the “Chappy” of the title. 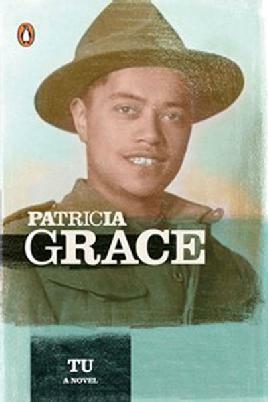 Grace said “Chappy” grew out of a story she heard from her husband, who is from Ruatoria, about a Japanese shopkeeper who had lived there and was a much loved member of the community, but who was imprisoned on Somes Island during WWII, and then deported, leaving his New Zealand wife and family behind. As an aside, due to various First World War centenaries this year, I’ve been looking at a lot of contemporary news reporting and this treatment of Kiwi Japanese during WWII is no different than that of New Zealand Germans in the earlier conflict. It seems we always repeat the same behaviours, demonising the enemy (and anything that reminds us of them sometimes, whether it’s justified or not). Grace started wondering how this man had come to be living there and that formed the seed of what became the novel. The device of having Chappy’s story revealed by other characters was partly due to her belief that she couldn’t adequately convey the mindset and culture of a Japanese character though she felt she could “get into his heart as a human being”. 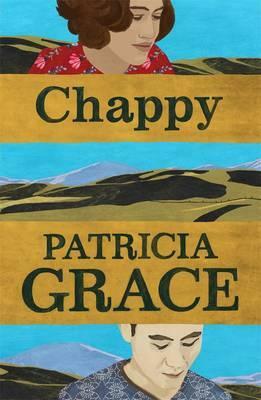 “Chappy” is Grace’s first novel in ten years, and Morris was at pains to point out this isn’t just laziness. In fact, life intervenes. Grace has seven children and a mother who lost her independence – family life does sometimes take precedence over writing novels. Grace read from Chappy, a passage about sea journeys and stowaways. Then Morris went on to ask Grace about her earlier novel, Tū (which in Morris’ opinion would make a great movie) and led to her sharing memories of being a child in Wellington during WWII. The American soldiers who gave the kids oranges and chewing gum, the ration books which she though were “cute”. Trams rattling up and down (accompanied by the sound of a tram, rattling past on Worcester Boulevard). The experience of waving her dad off on a military ship so immense she mistook it for a building. She never intended to write a book about war but found her father’s notebooks and started researching. Her father had never talked about his war experiences (and she had got the impression that he’d never been at the front lines when, in fact, he had) and the stories she had heard from Māori Battalion men, who sang Italian songs, were mainly tales of mischief. Her research revealed otherwise. Morris says that Grace is “subversive” and offers one of Grace’s quotes, from 1989, for comment. New Zealand is a multi-cultural society but you wouldn’t know this from reading our literature. Does she still feel that way? Grace thinks that literature and the media have changed since then and technology has helped though she admits “I don’t do technology, really”. She also has no issue with the novel as a “European form”. “You have to do your own thing,” she says “in the lens of the novel. Make it your own”. Morris believes that published literature is still fairly Pākehā dominated. A comment from the audience led into an interesting discussion about whether Grace is “political”. The questioner says that “Potiki” and its use of te reo Māori really opened doors to the language for her without feeling educative. Was it intentional? Potiki was published in 1986 and uses some Māori language components. At the time of its release, Māori was not yet an official language of New Zealand (this was achieved, after much campaigning, in 1987). Accusations were made at the time that this use of te reo was “divisive” and intentionally political. Grace however thought she was just writing about ordinary people. Morris agreed in this saying that when she wrote Rangatira she used Māori words that lots of people would be familiar with, and any that weren’t would be clear from the context…but apparently not everyone agreed. Morris also pointed out that many writers do this and have to defend themselves, people like Junot Diaz who have to explain that “this is how my characters speak”. 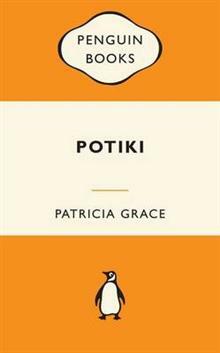 Grace says that the only political part of “Potiki” was the absence of a te reo glossary. She’d had them before but felt that “a glossary is what you have for a foreign language”. “Nobody did a glossary for me when I came across French in a book or anything”. Certainly my own reading experience with The Lord of the Rings novels and even The Chimes, is that it’s not necessarily an impediment to reading if occasional words are in an unfamiliar language (elvish) or specialised vocabulary (music). It was a shame that the session had to stop just then because I felt that there was more that could have been discussed on that topic, but end it did. As New Zealand Book Month comes to an end and I read of the death of Barbara Anderson I have realised that I used to read a lot of New Zealand fiction with Barbara Anderson being one of my favourites, alongside Fiona Kidman, Barbara Else, Marilyn Duckworth, and Patricia Grace, and Shonagh Koea. They were all women writers and they were all writing about things that were meaningful for me at the time: home, family, relationships and children. Every now and then I branched out into the male domain and enjoyed the likes of Witi Ihimaera, Owen Marshall and Jack Lasenby but would then scuttle back to my old favourites. 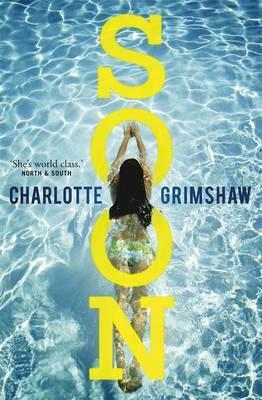 Over the years I have read and enjoyed Charlotte Grimshaw and Charlotte Randall but some of my early experiences with newer writers have not been so enjoyable. I have found them almost too clever and self-conscious, and sadly I have gradually given up. So, here is the challenge! Help me get back into reading New Zealand writers, get my literary juices flowing again and let me know who I just have to read.